single-family construction remained near historic lows, and existing home sales cooled, concludes a new report titled "The State of the Nation's Housing" from the Joint Center for Housing Studies of Harvard University. also seeing record numbers of cost-burdened renters. 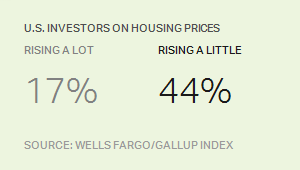 • The flip side of falling homeownership rates has been exceptionally strong demand for rental housing, with the 2010s on pace to be the strongest decade for renter growth in history. • While soaring demand is often attributed to the millennials' preference to rent, households aged 45-64 in fact accounted for about twice the share of renter growth as households under the age of 35. • The other byproduct of this surge in rental demand is that the national vacancy rate fell to its lowest point in nearly 20 years. Given the limited supply of rental units, rents rose at a 3.2 percent rate last year- twice the pace of overall inflation. • While the cost-burdened share of homeowners began to recede in 2010 (because some homes were lost to foreclosure, and low interest rates helped other homeowners reduce their monthly costs), the cost-burdened share of renters has held near record highs. 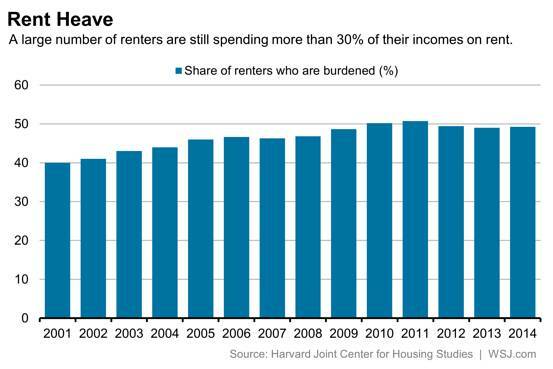 In 2013, almost half of all renters had housing cost burdens. • Cost burdens are climbing the income ladder, affecting growing shares of not just low-income renters but moderate- and middle-income renters as well. • The cost-burdened share of renters with incomes in the $30,000-45,000 range rose to 45 percent between 2003 and 2013, while one in five renters earning $45,000- 75,000 are now cost-burdened as well. Where you live should never determine how far you go in life. That principle was central to our nation’s founding, and it has remained an enduring promise for generations of Americans. It’s why we’ve invested in public schools, infrastructure and housing. And it’s why we’ve come together, time and again, to ensure that no matter how the times may change, one thing remains the same–that in the United States, anyone can go as far as their hard work will take them. It’s time to renew our commitment to this founding ideal. As I learned on a recent visit to Ferguson, MO, sometimes the reach of a child’s dreams depends more on where they are born than on where they want to go. In fact, a child growing up in the Clayton area of St. Louis can expect to live 18 years longer than a child living just eight miles away in the JeffVanderLou neighborhood. In a nation founded on the principle of equal opportunity, that’s unacceptable. Answering that question will require us to invest in three key areas. First, we must ensure that all communities provide their citizens with a strong foundation, which means ensuring folks have clean water, that electricity and transportation are reliable and available to everyone, that neighborhoods are safe, and that the housing market is free from discrimination and affordable to Americans up and down the income scale. The U.S. Department of Housing and Urban Development makes each of these basics a cornerstone of our local and regional partnerships as part of our Sustainable Communities and Choice Neighborhoods initiatives. I can’t stress enough how critical safe neighborhoods are to economic opportunity–it’s nearly impossible for a child to make it in America if she can’t even make it to school. That’s why in Chicago we’ve joined forces with a non-profit and the City to revitalize the Woodlawn neighborhood. In addition to renovating hundreds of units of affordable housing and creating new market-rate units, we’re also helping to boost public safety. The University of Chicago has agreed to place its public safety officers at key locations along school routes to protect the children who live in nearby public housing. No child should have to riskrobberies or violence to get an education, and I’m proud that the University of Chicago has made the community’s children their children as well. Second, we must promote smart, inclusive planning in every community. We can’t have one plan for the suburbs and another for cities. Instead we must view our communities as connected, because they are. Just look at what Denver–CGI America’s host city for the past two years–did in the 1980s to jumpstart its then struggling economy. The surrounding suburbs joined forces with urban neighborhoods to invest in creating a vibrant core to boost the entire region. HUD, in partnership with the U.S. Department of Transportation, is working with local officials to build on that work by expanding permanent affordable housing, improving access to jobs, and enhancing connectivity along Denver’s transit corridors. We’re fighting to advance these goals in more communities, which is why President Barack Obama has proposed greater funding for HUD initiatives that promote inclusive planning and that provide housing support and choices to low-income families. Finally, our nation must make the investments necessary to prepare citizens, especially our youth, to compete in the global economy. That means we must cultivate brainpower and match it to economic opportunity. Creating great schools is a vital step, but it can’t be the only one. We must also create enrichment opportunities for young people outside of the classroom. That’s why HUD is investing in educational opportunity for children in a number of communities, including in the Yesler neighborhood in Seattle. Working with the Gates Foundation, the local housing authority, and the school board, we’ve created an after-school tutoring program for 400 students. And the results have been impressive. Between 2011 and 2013, science scores for fifth graders rose from 15 percent who met the state standard to nearly 60 percent. We also know that prosperity hinges on empowering tomorrow’s American workforce with tangible pathways to employment, especially ones that lead to industries of the future. So HUD is now committing through CGI America to connect more public housing residents to continuing education and job training opportunities. That includes a new initiative HUD is launching in partnership with the U.S. Departments of Energy and Education called “STEM, Energy, and Economic Development” or “SEED.” SEED will leverage federal investments and partnerships in Washington, DC, Cleveland, Tampa, San Antonio and Denver to connect public housing residents to energy-sector training and jobs, helping them boost their skills and their earnings. This is a start, and we will keep working to build communities of promise. Creating a new national agenda that tackles the inequality crisis and fosters enduring prosperity will require leadership, engagement and vision. And it will require that we work together. If we are to make equal opportunity real for every American, we must ensure that all citizens–no matter their income or zip code–have a fair shot to pursue their dreams. 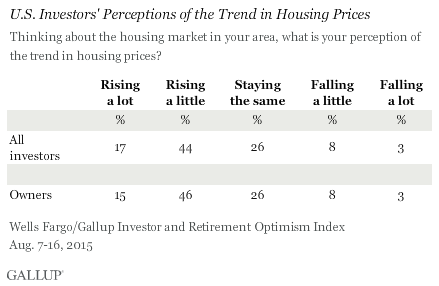 DO HOME BUILDERS UNDERSTAND WHAT BUYERS WANT? Two real-estate economists said Thursday that many home builders aren’t doing a good job of determining what home buyers want. “If there is any speculation in building, it’s going to be toward the higher end,” Ms. Richardson said, speaking during a panel discussion at the National Association of Real Estate Editors’ annual conference in Miami. By speculation, she meant building homes without buyers already signed up. Building entry-level homes on a “spec” basis was a common practice before and during last decade’s real estate boom, when there was ample demand for those homes. But that entry-level demand fell off dramatically in the downturn and since, with many entry-level buyers hampered by strict mortgage-qualification standards and mounting student debt. Meanwhile, demand for pricier homes remains strong, so builders can safely construct spec homes in that segment. But determining if entry-level demand is recovering well enough to warrant wide-scale spec building of less expensive homes requires builders to make an educated guess about future demand. 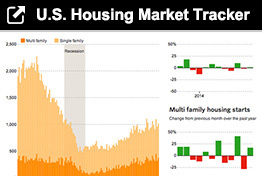 The economists say entry-level housing demand is adequate and increasing. But many builders aren’t so sure. Both economists noted that condominium construction generally is depressed relative to demand because builders are focused more on rental apartments. Condos are a common landing spot for first-time buyers because condos are smaller and less expensive than detached, single-family homes. Trulia’s Ms. Hepp said builders are wary of building condo projects due to theprevalence of construction-defect lawsuits filed in various states by condo owners associations. Redfin’s Ms. Richardson added that it’s easier and less risky for builders to sell a newly constructed multifamily complex to a single institutional buyer rather than piecemeal to scores or hundreds of individual buyers as condos. The economists were split on whether home construction will fully return in far-flung suburbs, often called exurbs. 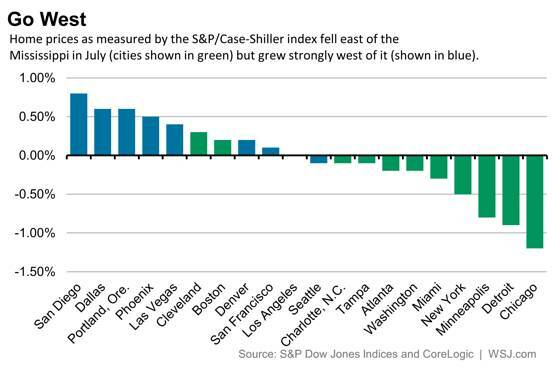 Builders had all but abandoned those areas in the downturn, because the price-sensitive buyers that favor the less-expensive housing built in the exurbs had stopped buying and many buyers favor the shorter commutes to and from homes closer to the city center. Ms. Hepp countered that price is the driving factor for many buyers. “Why people go to the exurbs is because of affordability,” she said. The economists each cited data from their firms’ surveys regarding buyer preferences. Recent Trulia surveys found that two out of five buyers prefer new homes because they want modern features, the ability to customize amenities and less need for maintenance and repairs, Ms. Hepp said. 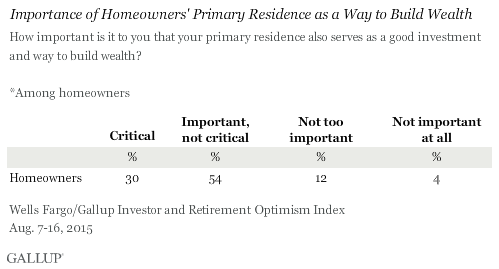 She added that roughly half of respondents said they want larger homes than those they were in. Redfin surveys found that 36% of buyers cited convenience as the main factor driving their home purchase, 11% cited affordability and 5% said they primarily want a newly built home. The New Year, that is 2015, has started with a much bigger bang than 2014 did. In fact, it started to pick up at the end of 2014. The total number of sales for November, 2014 (condos, single-family resale and new homes) totaled 15,643 for all of So Cal. (This includes Ventura, LA, OC, San Bernardino, Riverside, and San Diego.) That number jumped an astonishing amount to 19,205 for December 2014, a 22.8% jump. So you can imagine how anemic the numbers were all year as the total for Orange County for 2014 was 33,844, down 8.2% from 2013's total. That number was for all homes as stated above. The median price, meanwhile, hit $585,000 and that was up 9.3% from 2013. This completed two back to back years of fairly rapid appreciation gains, and experts rightly predicted a heavy slowdown, which actually started last winter, with appreciation steadily dropping all last year. There was a total of 20,496 single-family resale, 9,166 condos sold and 4,182 new homes. This year already is showing strong signs of volume recovery as interest rates promise to stay down...for now. But many buyers are getting the message loud and clear from the Fed, that rates will probably rise sometime this summer. This is a strong motivating factor for "fence sitters", who are waiting for that perfect time to buy. The perfect time to buy is when you are financially and emotionally motivated, don't worry about the market, but in particular, inventory is expected to strengthen this spring as more and more sellers are able and willing to sell, having enjoyed two strong years of equity growth. You can expect to see our strongest "move up" market in over 7 years as people who want to do something, as well as those who have to do something, all enter the market. Most of us have read about or if you were selling a higher end home, may have experienced, the foreign nationals who have been snapping up properties in the US, particularly in So Cal, especially the OC. Now listing inventory of the higher priced homes are starting to pile up as these buyers grapple with the stronger dollar. It is a conundrum. On the one hand, their money doesn't go nearly as far. On the other hand, compared to many foreign currencies, the dollar is the safest haven and hedge against inflation. Even said, listing agents might be compelled to obtain price reductions to move their high end properties. Be patient and be realistic are the watch words for this market. Even with this being the case, these off shore buyers will still bring competition to the high end. WHAT WERE THE ACTUAL NUMBERS FOR OC? The last complete month is December2014 and the numbers are: Total sales - 2,880, which is down 6.8% for the same month of 2013; The median price for all homes was - $591,000 which rose a mere 3.7% (much more sustainable and will lead to a healthier market for 2015); The total number of resale homes was 1,726, both price hikes and volume nearly flat at less than 1% for both; Condos sold a total of 744 and the price was $390,000 volume down 4.2% and prices up 4.8%. 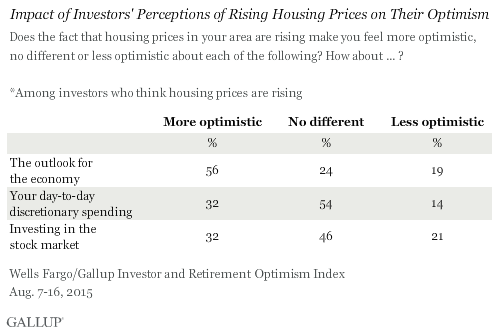 Rising equity will always have a stabilizing effect, because it allows all segments and price ranges in the market to make independent decisions regarding their home, which ultimately cause more interaction between price ranges and people move up or down in size and price according to their need of growing family, empty nesters, and retirement. Equity is a very liberating quality in homeowner economics. And although credit standards tightened immensely after the recession, there are now emerging more loan programs, the resurgence of some old programs and some revamps even in government lending such as the lowering of the FHA mortgage insurance by almost half a point. On a median priced home, that can be over $200 a month or even more. That increases a buyers, "buying power", tremendously. All who are looking to buy should speak with a lender to find out exactly how much you qualify for...buyers may be surprised by their purchasing powers. Sellers are also in a great position. At last it would seem we may be trending to a totally equitable market. It has been sometime. Surely the results will be an encouraging factor in our economy for the year ahead.